Mescaline (3,4,5-Trimethoxyphenethylamine) is a naturally-occurring psychedelic alkaloid of the phenethylamine class that produces "classical psychedelic" effects (i.e. those of psilocybin mushrooms, mescaline, LSD, and DMT when administered. Mescaline (MES) is a derivative of phenethylamine1. It is a strong hallucinogen. Can cause hallucinations, self-distortion and mind splitting, leading to depression and pupil dilation, tachycardia, excessive limbs, tremors, nausea, vomiting, and long-term use can lead to organ damage. Hallucinations can last for seven, eight or even 12 hours2,3.The main hazard of using Mescaline is mental disorder. If users experience transient psychosis4, they can also engage in violent attacks, suicide, self-harm and other behaviors5. 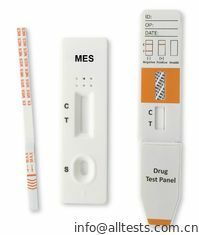 The MES Rapid Test Panel (Urine) is a rapid urine screening test that can be performed without the use of an instrument. The test utilizes a monoclonal antibody to selectively detect elevated levels of Mescaline (MES) in urine. 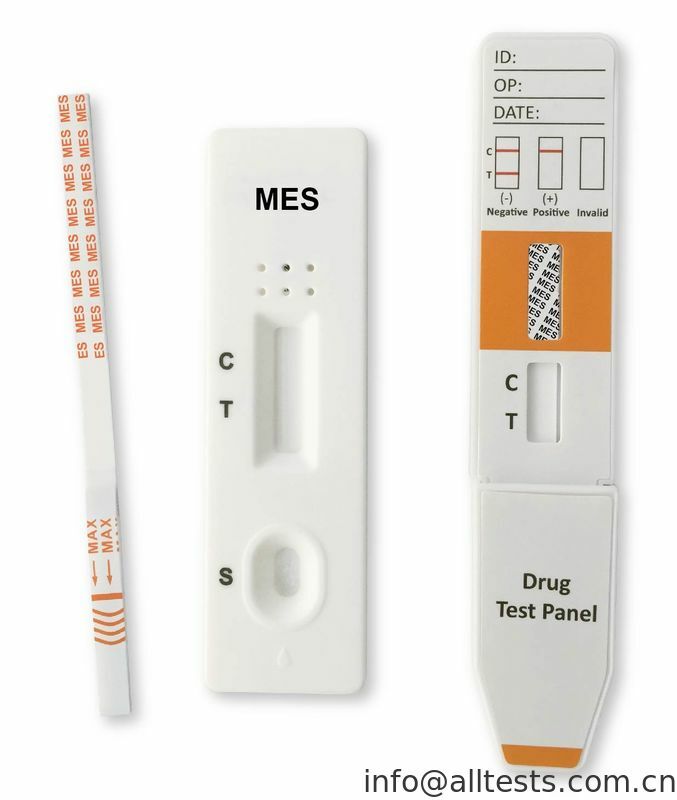 The MES Rapid Test Panel (Urine) yields a positive result when Mescaline in urine exceeds 100 ng/mL.